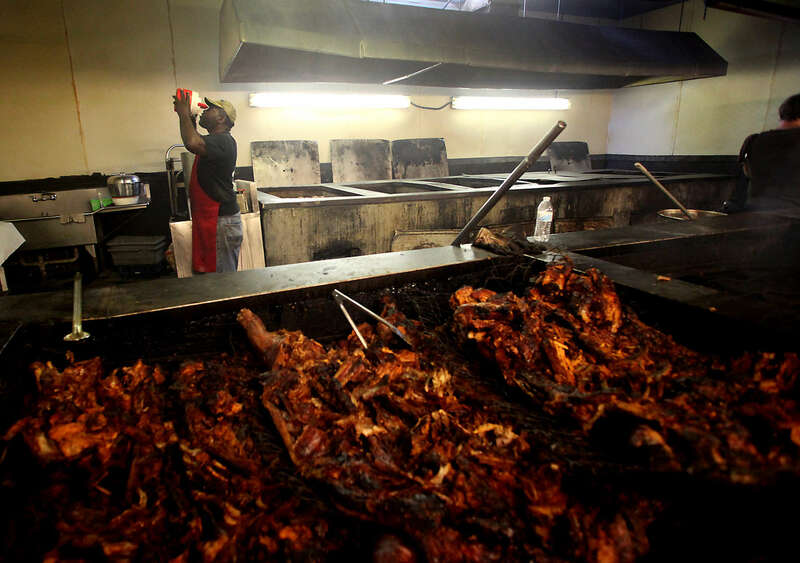 Every state has their version of BBQ and although I haven’t eaten at every place on the BBQ Trails of southern states like Tennessee, Texas, North and South Carolina, Virginia, Mississippi and more. I have sampled quite a few which is another advantage of living a long time. Some folks have an absolute favorite sauce or rub and that’s the only way to go but others like myself like a variety. When we lived in NC the BBQ stand behind our house, the A & M Grill, had three or four tables and was probably from the 50’s. They were one of the few places who still roasted whole pigs. Their collards and cracklings were very popular and the sauce was vinegar based. Years ago in Austin, Texas we had a wonderful brisket that if I close my eyes can still taste the smoky goodness of that tender meat. That was a dry rub which they also used on ribs at the Market BBQ in Minneapolis. I’ve never liked the overly sweet sauces or those that are so fiery it takes too much beer to quell the heat and soon you don’t remember the meal at all! Chopping up the pork for BBQ. When warm temperatures make their w.ay to South Carolina this spring and summer, opportunities abound to savor mouthwatering barbecue at one of the states many upcoming festivals. Here is a roundup of some of those events. You can also get information at visit South Carolina’s new barbecue microsite, SCBBQTRAIL.COM, which offers fun videos, a free downloadable South Carolina Barbecue Trail map featuring nearly 200 barbecue restaurants and more. Just think if you carry the Barbecue Trail map in your car maybe over the course of a year or two you could hit all 200 featured restaurants! On March 21-22, good barbecue meets good fellowship at the Smokin’ at the Farmers Market, the Commissioner’s Cup BBQ Cook-off & Festival. 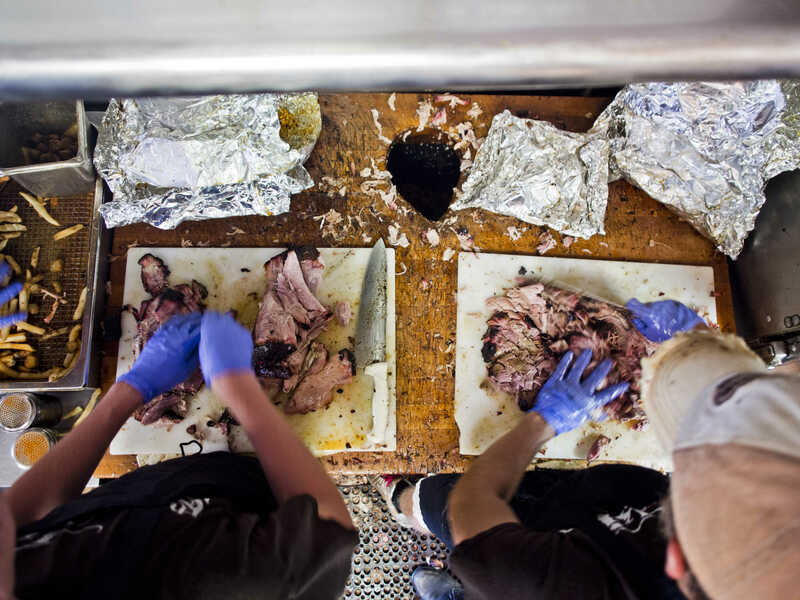 The two-day event at the State Farmers Market in West Columbia features barbecue pitmasters and their teams from across the Southeast vying for the state championship and top prizes. Guests will enjoy barbecue tastings, entertainment and local vendors selling specialty food made in South Carolina. For more information, contact the South Carolina Department of Agriculture. March 28-29 brings the Hub City Hog Fest to Spartanburg’s recently renovated downtown Grain District. The inaugural event will benefit Mobile Meals of Spartanburg and will feature a barbecue competition, awards ceremony for the best “que” and live music. For more information, visitHub City Hog Fest. April festivals kick off in the Pee Dee region with the town of Hemingway’s 26th annual BBQ Shag Festival, taking place April 10-12. The festival will include a cook-off, arts and crafts, a car show and live music from the Josh Brannon Band. For more information, visit South Carolina BBQ Shag Festival. On April 26, music enthusiasts will flock to the Southern Flame Food and Music Festival at The Ponds in Summerville. The all-day event includes a barbecue competition packed with Southern favorites prepared by more than 20 teams along with impressive live entertainment. For more information, visit the Southern Flame Food and Music Festival. In the state’s Olde English District, the city of Chester hosts the annual Hog on the Hill BBQ Cook Off May 2-3. Teams compete to be named titles like “Anything But” and “Best BBQ,” while guests enjoy rides, homemade ice cream treats and horse and carriage rides. For more information, visit Hog on the Hill BBQ Cook Off. Also taking place May 2-3, Saluda Shoals Park hosts Picking and Pigging at the Park. Located in Irmo near the capital city of Columbia, Saluda Shoals is an inviting riverfront park of more than 400 acres. Its world-class barbecue cook-off and music celebration showcases some of South Carolina’s best barbecue and local bands. The barbecue team competition is limited to 20 participants with the best cooks winning prizes of up to $1,250. For more information, visit Saluda Shoals Park. In June, Beaufort’s High on the Hog Festival is not to be missed. Although we’ll be in town early March and find some samples to preview. The annual event, held this year at Whitehall Plantation on Lady’s Island, supports the Lowcountry Habitat for Humanity and is sanctioned by the South Carolina Barbecue Association. Guests will sample barbecue favorites from three states as the best cooks compete for prizes and awards. For more information, visit High on the Hog Festival. 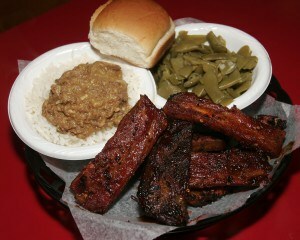 Greenwood highlights barbecue and the blues at its 14th annual Festival of Discovery event July 10-12. Attendees are treated to a weekend of food, live music and tradition as they learn about the rich culture of Greenwood. The “Blues Cruise” entices guests with live blues entertainment at nine different venues across the Uptown area. For more information, visit Festival of Discovery. Blacksburg’s Kings Mountain State Park hosts its Barbecue Cookoff July 25-26. Part of the Camper Cookoff Series, participating competitors will be judged on a barbecue dish. In addition to its popular events throughout the year, KingsMountain is home to scenic hiking trails and two fishing lakes, and is next door to Kings Mountain National Military Park. For more information, visit King’s Mountain State Park. Rounding out the summer is the 2014 FLW Forrest Wood Cup in LakeMurray. Taking place August 14-17, attendees will sample barbecue from the Lake Murray Country region while enjoying the most prestigious bass fishing tournament of the year. The tournament includes the FLW Expo, the outdoor industry’s premier expo offering a packed variety of celebrity appearances, education seminars, giveaways and more. For more information, visit FLW Forrest Wood Cup. South Carolina is just right for vacations and certainly has much more than it’s popular Charleston. With 187 miles of Atlantic coastline, lake regions and coastal plain in the midlands, and deeply forested Blue Ridge Mountains in the upper west corner. Its moderate year-round temperatures attract millions who enjoy its natural resources, inspiring historical and cultural attractions as well as fine dining, regional cuisine, charming small towns and world-renowned golf experiences. For more information, visit DiscoverSouthCarolina.com, browse the state’s travel guide online, or To stay on top of travel news in the state, subscribe to the state’s e-newsletters. 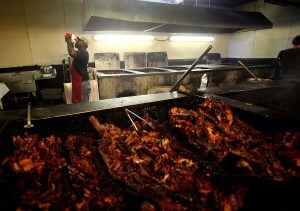 Great article about South Carolina barbecue! Thank you Mary.